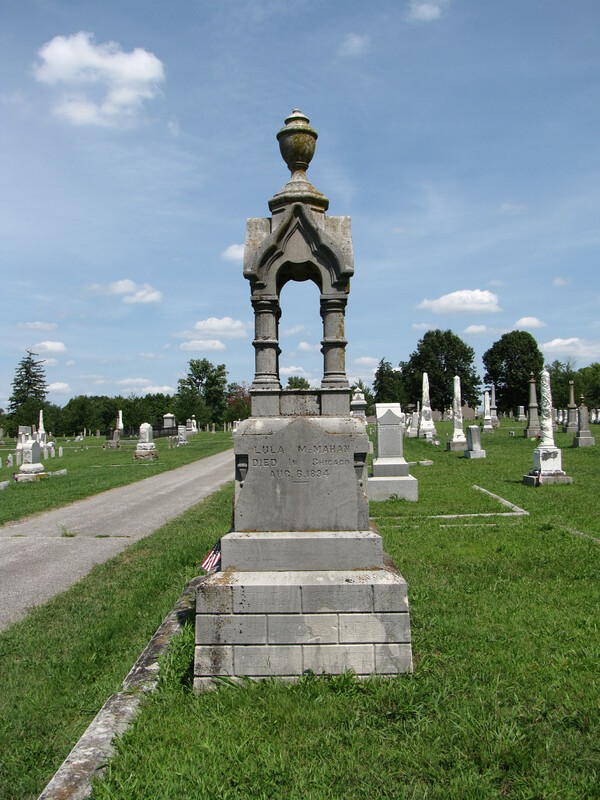 John Naugle was a master carver who plied his trade in the Salem, Indiana, area. 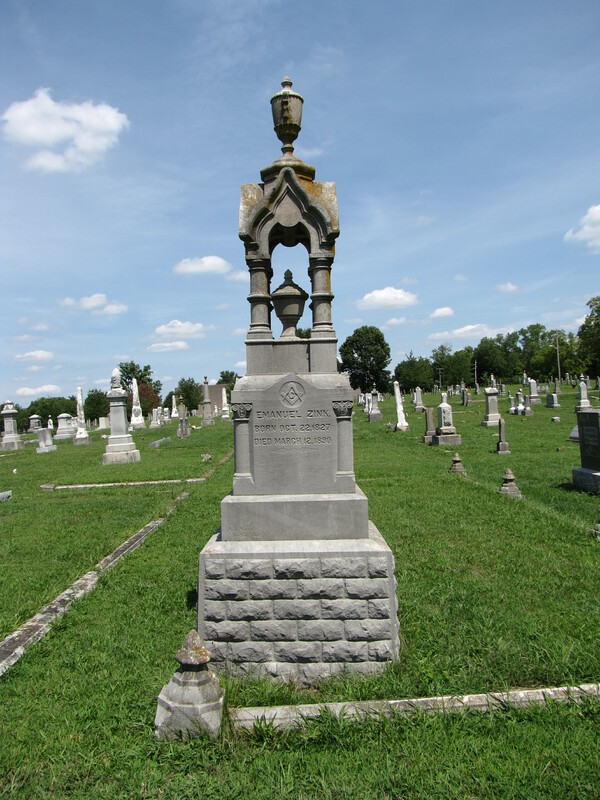 Examples of his work can be found in the Crown Hill Cemetery of Salem. 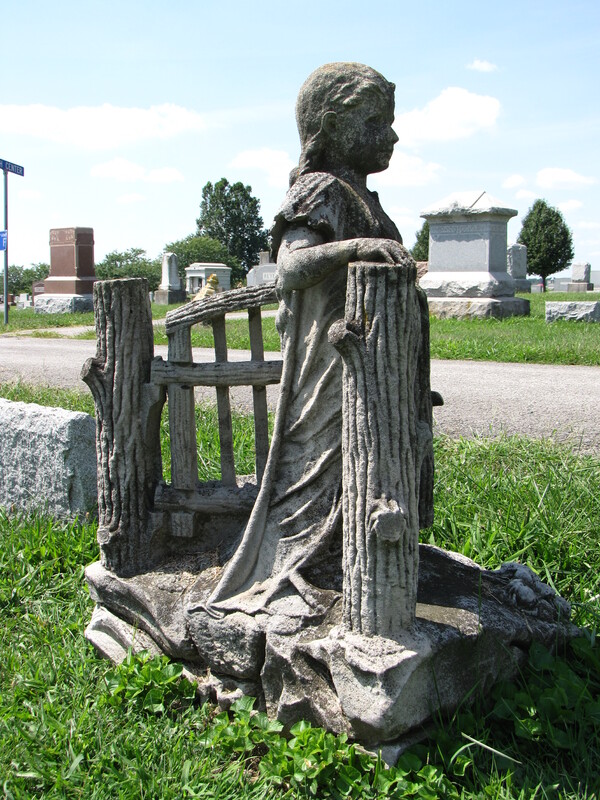 Two examples, the Lula McMahan monument and the Emmanuel Zink Monument, demonstrate his talent as a carver. In these examples shown here, Naugle crafted towering monuments that are architectural in nature. They resemble each other in form, but have minor changes in detail and symbolism. 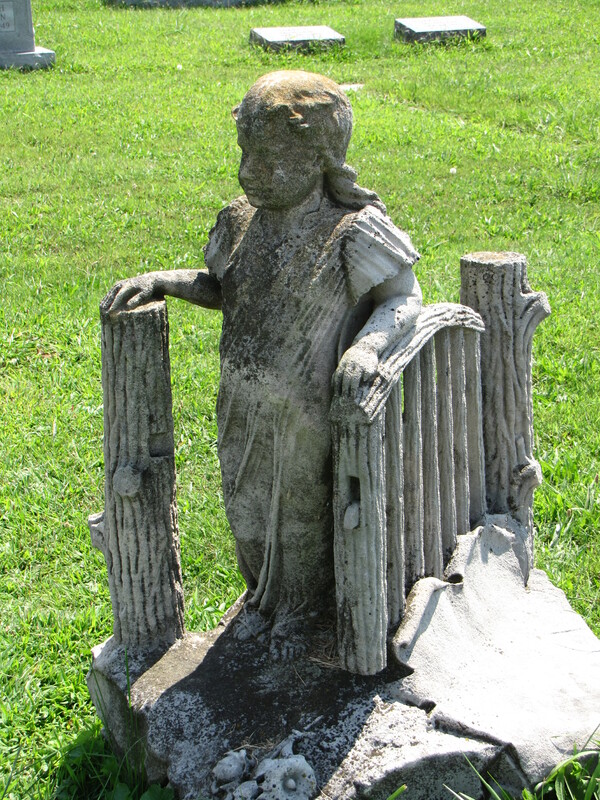 Not only did this stone carver complete many of the projects that were languishing in the Naugle’s workshop, but he also produced a memorial to Caddy, appropriately, standing at the garden gate, as if she were still waiting for her father. By all accounts, he then disappeared almost as if he had been a ghost.